Writing is never easy—ever. 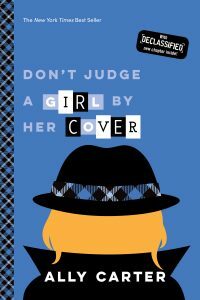 But I must say that in many ways Don’t Judge a Girl by Her Cover is the easiest book I’ve ever written. I don’t know why that is exactly. I think it’s partially because after Cross My Heart and Hope to Spy I took some time off from writing. In those few months I had a lot of time to think about what GG3 should be. At the time, the 2008 presidential election was going into full swing and I spent a lot of time thinking about how hard it would be to live life in such a public glare. That was when I knew that I wanted to tell the next Gallagher Girls story in that context.